Every liberal democracy has laws or codes against hate speech—except the United States. For constitutionalists, regulation of hate speech violates the First Amendment and damages a free society. Against this absolutist view, Jeremy Waldron argues powerfully that hate speech should be regulated as part of our commitment to human dignity and to inclusion and respect for members of vulnerable minorities. Causing offense—by depicting a religious leader as a terrorist in a newspaper cartoon, for example—is not the same as launching a libelous attack on a group’s dignity, according to Waldron, and it lies outside the reach of law. But defamation of a minority group, through hate speech, undermines a public good that can and should be protected: the basic assurance of inclusion in society for all members. A social environment polluted by anti-gay leaflets, Nazi banners, and burning crosses sends an implicit message to the targets of such hatred: your security is uncertain and you can expect to face humiliation and discrimination when you leave your home. Free-speech advocates boast of despising what racists say but defending to the death their right to say it. Waldron finds this emphasis on intellectual resilience misguided and points instead to the threat hate speech poses to the lives, dignity, and reputations of minority members. Finding support for his view among philosophers of the Enlightenment, Waldron asks us to move beyond knee-jerk American exceptionalism in our debates over the serious consequences of hateful speech. 3. Why Call Hate Speech Group Libel? 5. Protecting Dignity or Protection from Offense? Jemery Waldron's book is based on his three 2009 Oliver Wendell Holmes Lectures. They were published in 2010 in "Harvard Law Review" [pdf] and are also available as podcasts (see here). * John Paul Stevens - "Should Hate Speech Be Outlawed?" 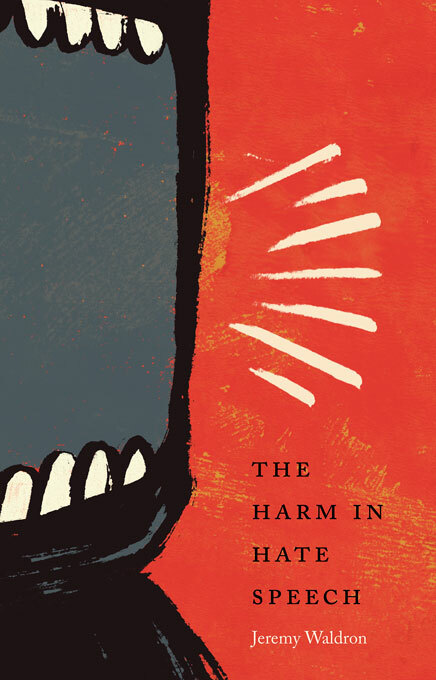 * Katharine Gelber - "The Harm in Hate Speech"
* David Gordon - "The Harm in Hate-Speech Laws"